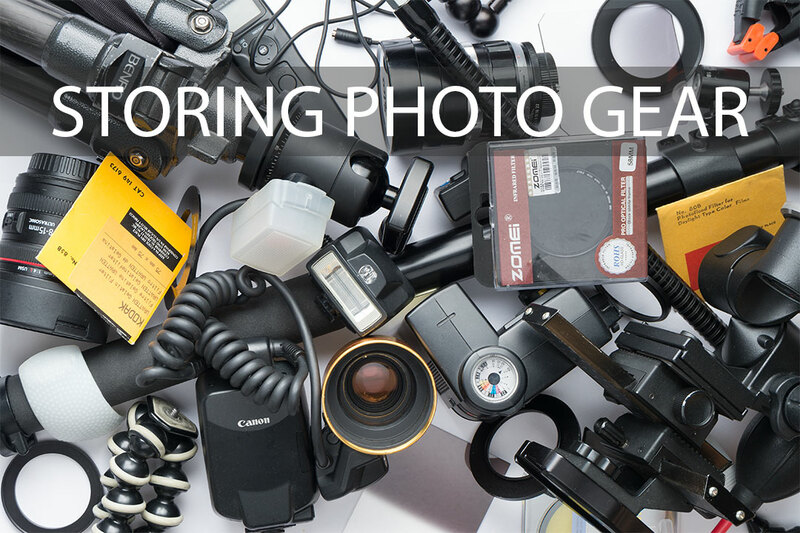 When you first get into photography, storing your gear is very easy. 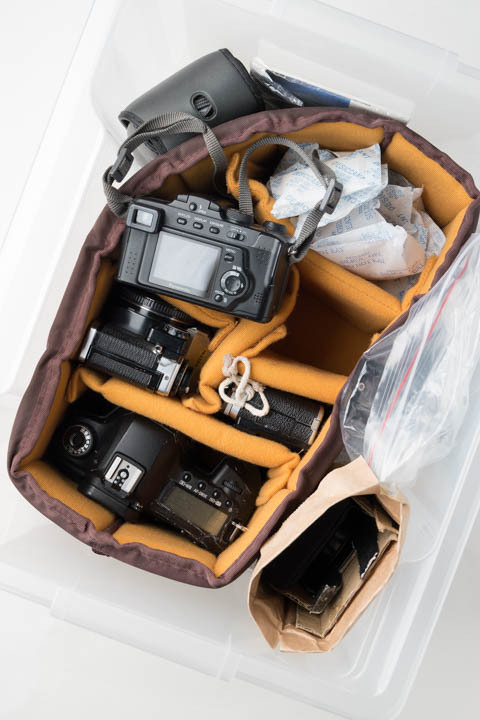 You won't have much gear, and you can just store it in your camera bag. 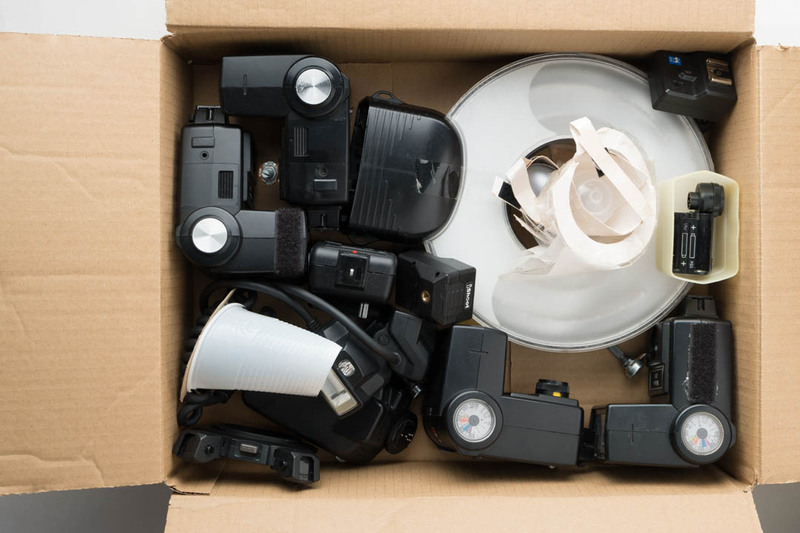 But when you get a larger amount of equipment, with some of it being more specialized gear that you only need to use every once in a while, then storing gear can become more of an issue. You need some way of keeping it organized so that you can easily find what you need when you need it. And ideally, stored in a way that doesn't take up a lot of room. So in this post I thought I'd share how I store my gear. It's not perfect, and just because it works for me, doesn't necessarily mean it will work for you. But hopefully it will give you some ideas. Maybe you'll even be able to give me some helpful ideas to improve my gear storage? 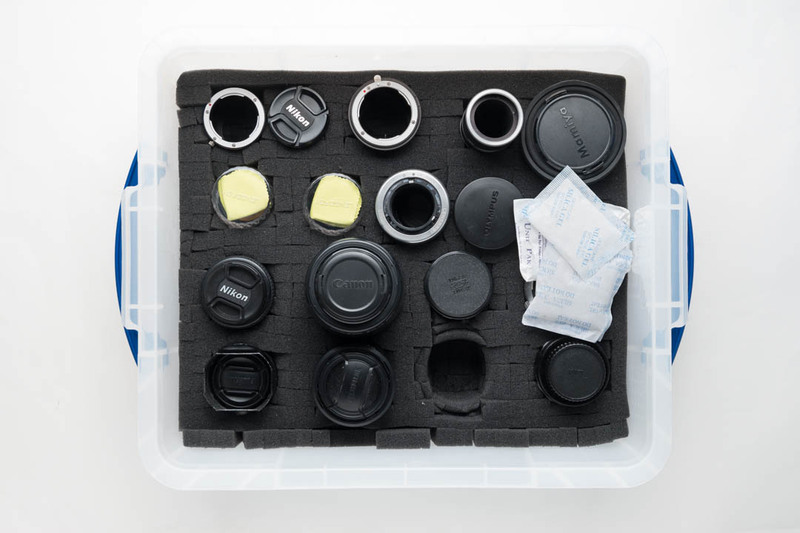 For my lenses I have a couple of Really Useful 18l size plastic storage boxes. I used spray glue on the inside of these, then fitted them with pick & pluck foam (cut to size). I then cut out holes in the foam for my lenses to fit into. I also stick a few packs of Silca gel (dessicant) in the box to help keep the lenses dry and reduce the likelihood of fungus. Keeps lenses secured and safe from bumps - they can't fall off a shelf. Box can be stored away on a deep shelf / under the bed etc. 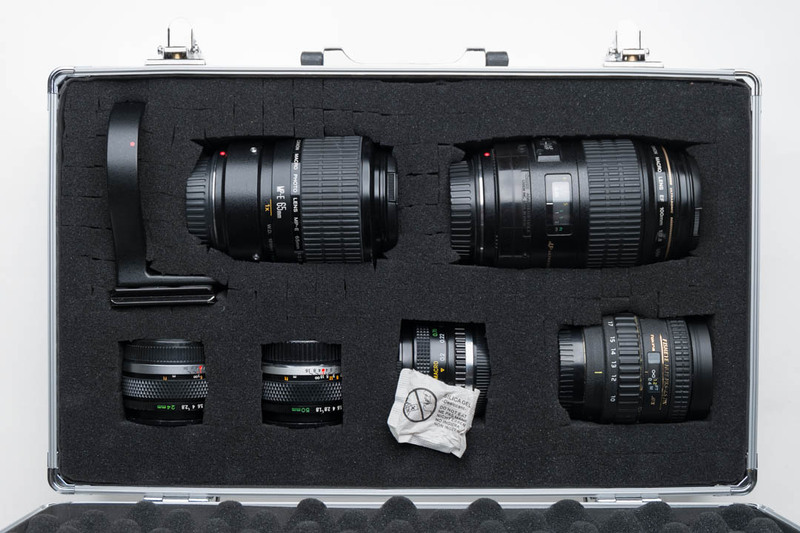 Can fit a large number of different size lenses in a single box. 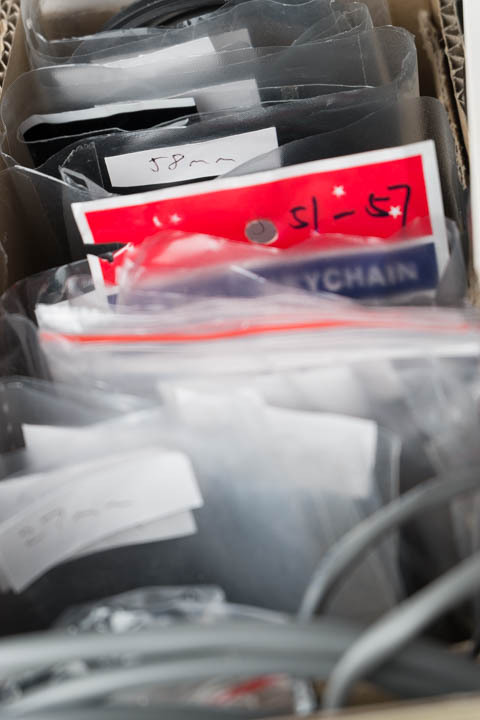 Easy to see your lenses at a glance - no digging through bag compartments. (I could further improve this by labelling my lenses). Not really suitable for travelling with. If you need to take a large amount of gear with you when travelling I'd suggest getting something more substantial like a peli case. While the box is a good size for standard DSLR lenses, it's a bit large for smaller lenses. If I had planned in advance I could have had one 18l box for larger lenses, then one or two much smaller (less height) boxes for all my smaller lenses. 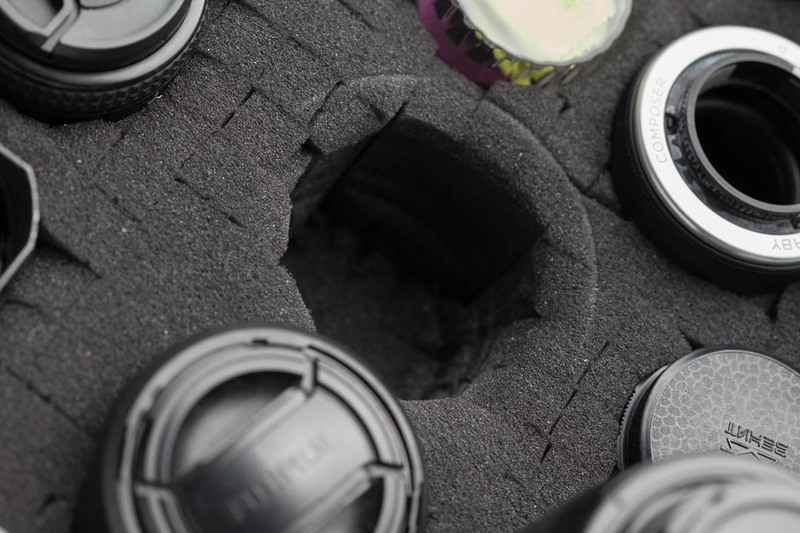 Takes time to prepare the box initially, especially cutting the holes in the foam for the lenses. 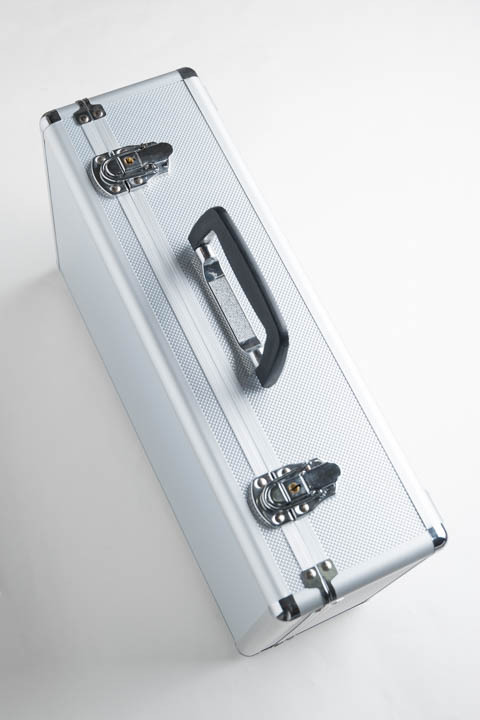 I also have a small flight case I purchased that came with pick & pluck foam installed. (I purchased this before I had the idea of using the plastic boxes). This looks neater than my DIY boxes and is more transportable. However, it's not as flexible in terms of the size and how many lenses you can fit in it. It was also more expensive than one of the tubs, despite holding far fewer lenses (because it's smaller). I don't have many cameras, so this isn't too tricky. I have a camera bag insert that I just put in a plastic tub. 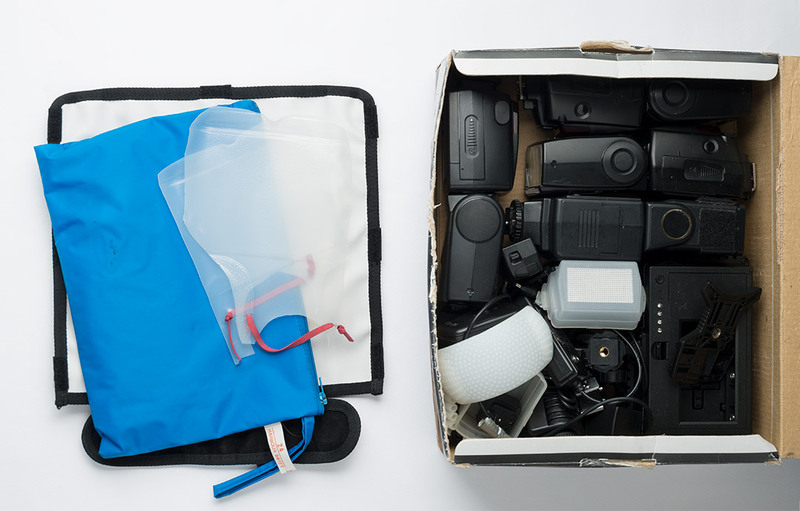 Then the cameras go in the compartments of the bag insert. Again, I stick a few silica gel packs in there to absorb any moisture. This keeps the cameras easily accessible, free of dust, and I can stick the tub on a shelf out of the way. Filters I put in a cardboard box, standing up in the protective boxes they come in. Where the box doesn't have a label with the name and size of the filter on top, I've written one out and stuck it on the box. They are arranged in order of size. So I can easily look through my filters to find a specific filter in the nearest size to what I need. Some filters I have in more than one size, though the majority I have in only one size and they must be used with stepping rings to fit lenses with different size filter threads. 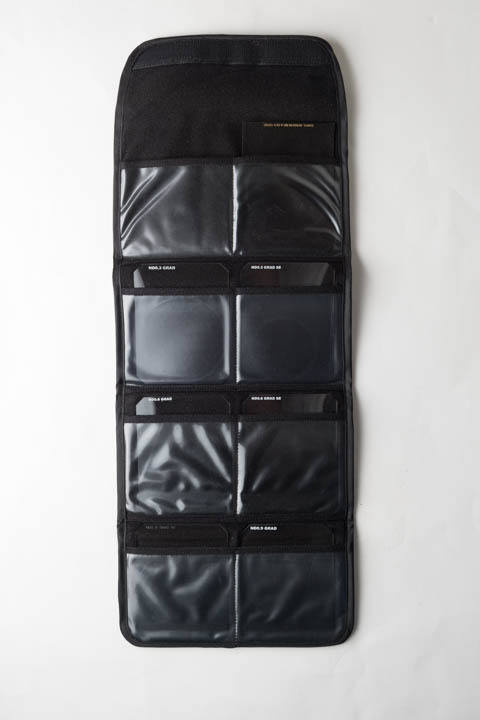 My most commonly used Cokin filters I keep in a filter wallet, ready to take with me. 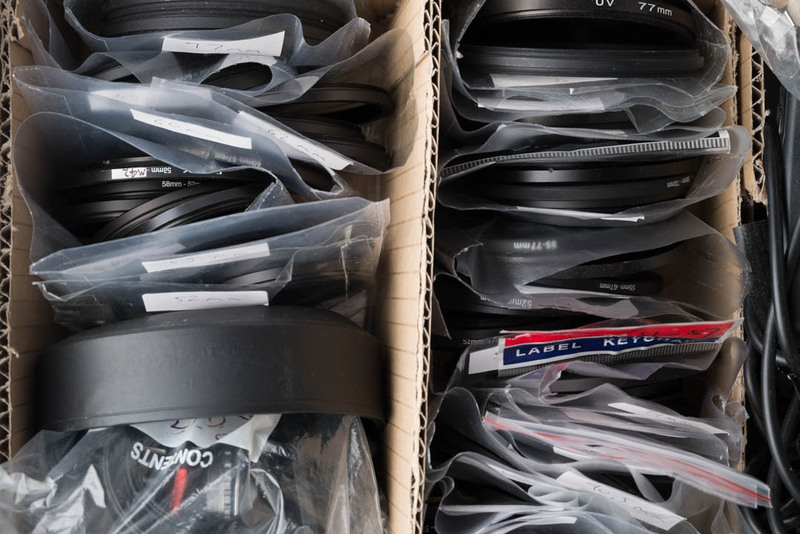 Other Cokin filters and polyester / gelatine filters are just stored in the box. There's no easy way to pick out a specific one of these other than flipping through them, looking at the front labels. But since I rarely use them, that's not a problem. Again, I have a silica gel pack in the box to keep it dry. A cardboard box split into two columns holds my stepping rings. One column is for step-up rings, the other for step down. I have small plastic packets (made from cut-up and sellotaped punched filing pockets) for each male thread size, with each pack labelled. So my 55mm step-up pack might hold several rings, such as a 55-58mm, 55-62mm and 55-77mm, for example. 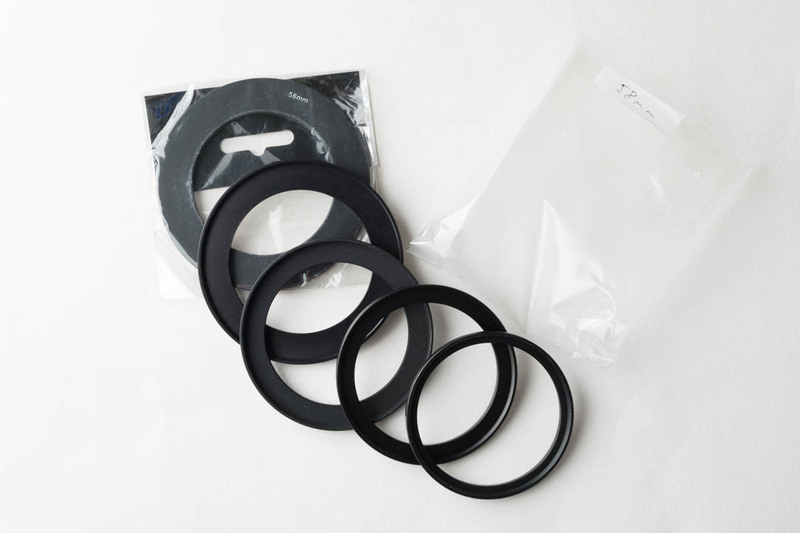 Whereas the 55mm step-down pack may also have several rings such as a 55-52mm and 55-49mm. 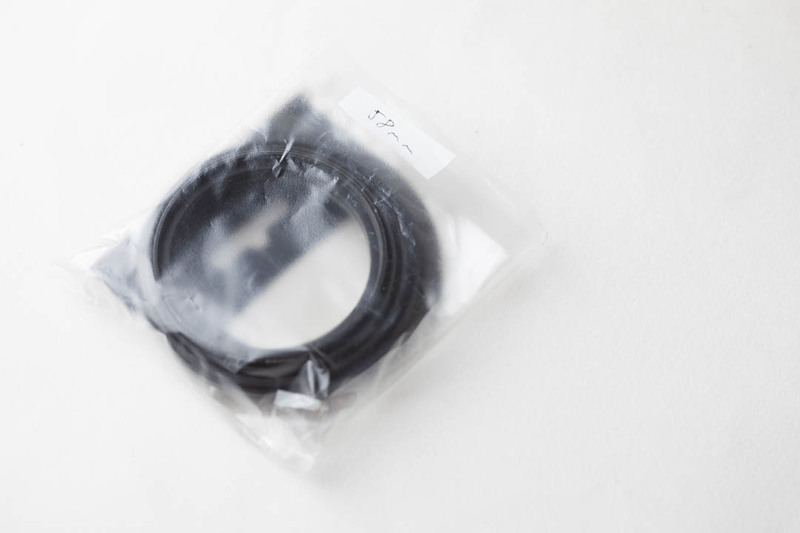 I also have a bag containing my lens mount adapters in this box. Since I don't have a large number of these, having them just mixed together in a bag isn't a problem as it doesn't take long to look through them to find the one I want. Now we start to get onto the bits I don't have quite so organised. I have two boxes of flash gear. 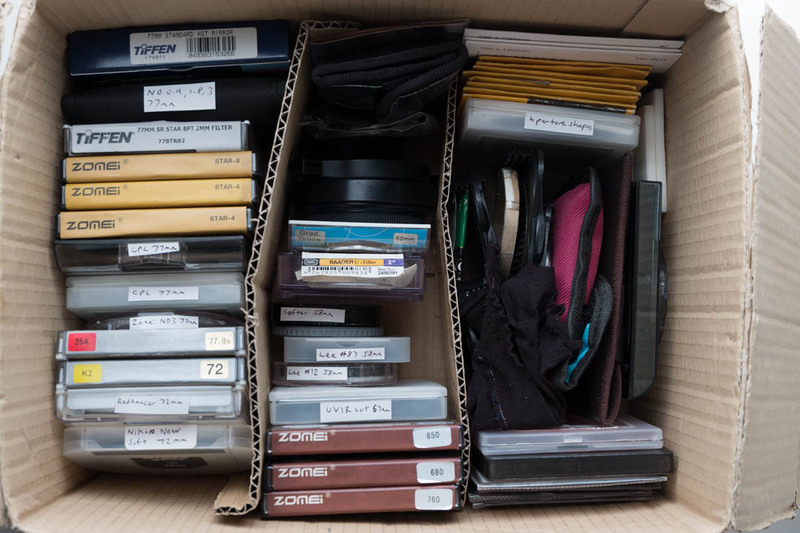 Basically the flashes and accessories are just mixed up the boxes, there's not a great deal of organisation to it. One box contains my main speedlights, accessories, and an LED light panel. The other box contains my Vivitar flashes used for UV photography and the radio triggers I use with them. A ringflash adapter, Macro Twin light flash, and diffusers for the twin light are also in this box. Miscellaneous accessories all just get jammed together into a box. 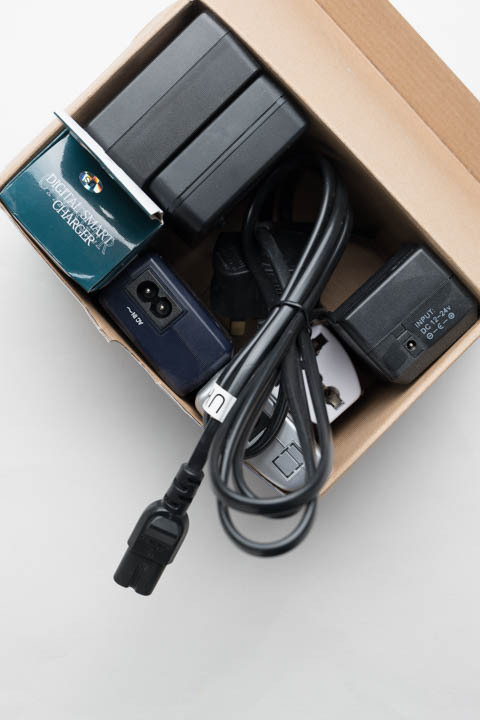 I can't really think of a better way of storing these, other than maybe using a larger box with dividers to ensure each accessory has its own compartment, making it easier to see where everything is. I don't have many tripod heads, so they are just put in a box or left mounted on a tripods. With AA / AAA batteries it's best to use and keep batteries in sets. That way all batteries in the set should have the same wear and hold approximately the same charge. 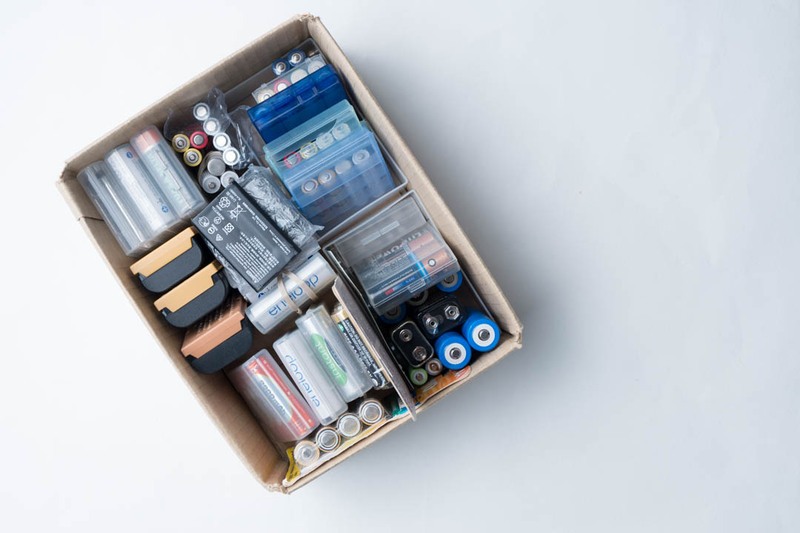 If you mix and match your batteries than you can end up with sets where most of the batteries in the set are good but are brought down by a well-used battery you've included in the set. So for AA size I have sets of 6 batteries, 4 batteries, and 2, and sets of 3 and 2 for AAA. Plus singles of various sizes. My camera battery chargers I keep together in a box, but I only keep one figure 8 power lead to share between them. (I never need to charge two camera batteries at once). 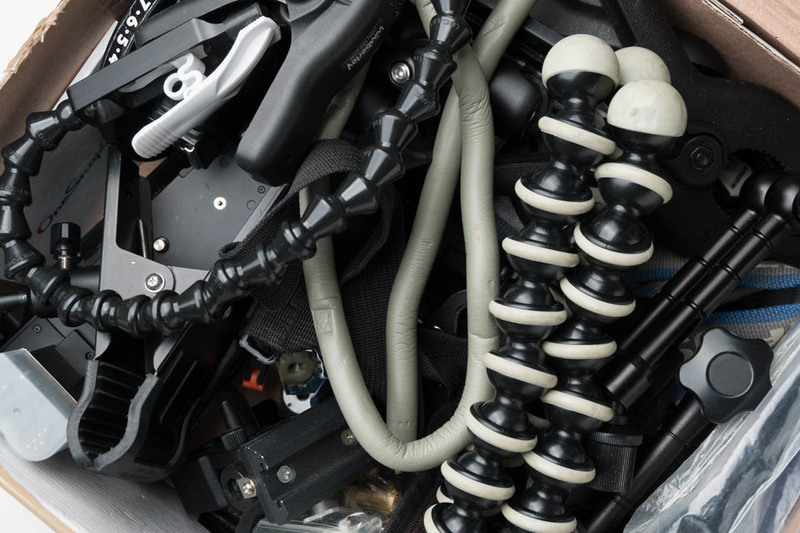 Tripods, stands, monopods, umbrellas etc. are tricky to store due to their size. I just lean them up against the wall in the corner of a room. So that's it - how I store all my camera gear. Some of it is well organised (in my opinion), some less so. But it works well for me. The only problem I have is when I want to quickly grab a camera. I have to get the camera out, get the battery out, get a memory card out, get a lens out, possibly get a stepping ring and filter out. So it takes quite a while compared to just having the camera on a shelf ready to go. 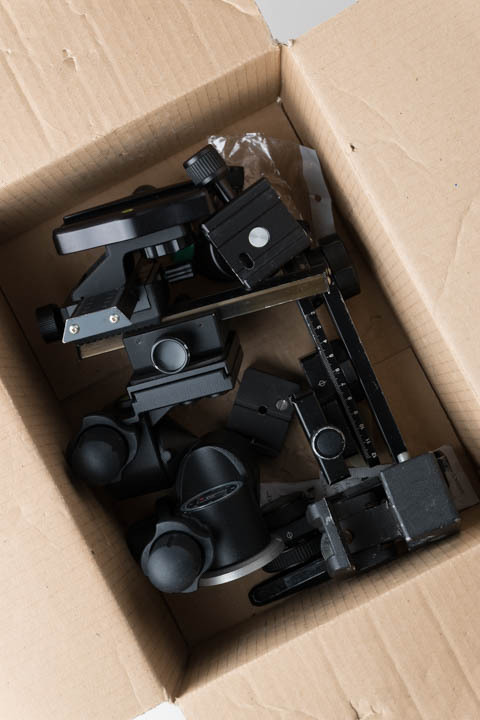 But on the other hand, when I want something more specific, it is much easier for me to find than rooting through boxes or bags of mixed up gear. 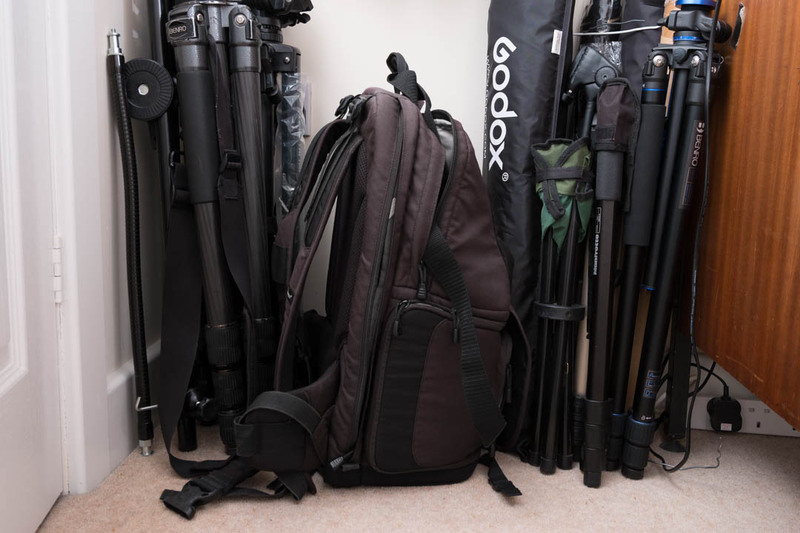 I'd be interested in hearing from anyone else on how they organise their gear, feel free to leave a comment below or email me at info@davidkennardphotography.com.